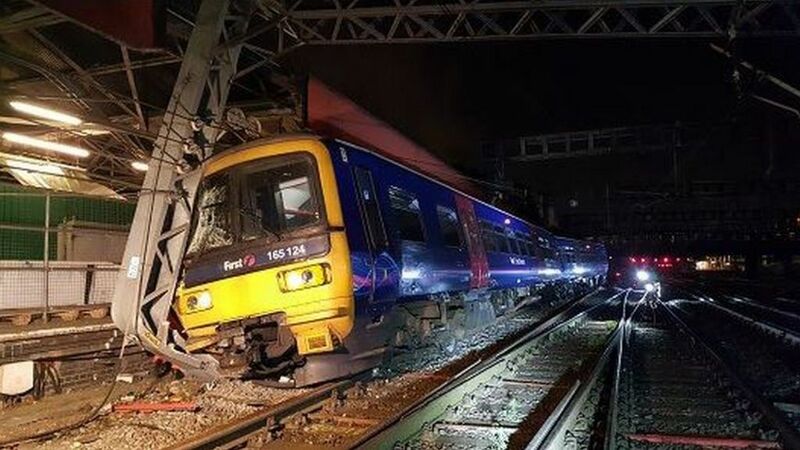 Passengers travelling through London Paddington are facing continued disruption after a train derailment. Network Rail said the empty train had passed a red signal outside the station, activating an automatic derailment on Thursday. Overhead power lines also came down. Operator GWR expects to run only half its normal service on Friday morning. Network Rail said a limited service would run to and from London Paddington until the end of Friday. Passengers travelling through Paddington railway station in west London are facing continued disruption after an empty train derailed.